Published May 15, 2018, Los Angeles Daily Journal – Electric car manufacturer Tesla has been called many things: a newcomer, a disrupter, a game-changer, and among many others, the company that revolutionized an industry not fond of revolution. And while receiving all of these well-deserved accolades, it is equally deserving of another descriptive title: financial catastrophe. This month, Tesla released its 2018 first quarter financials, with horrid results. In the first three months of the year, Tesla managed to lose another $784 million, drawing question as to how much longer the company can tiptoe through the raindrops before landing squarely in the middle of an ink-red puddle. In 2017, the carmaker lost $2 billion as it struggled to get its low-cost Model 3 into full production. Tesla bet its financial future on the newly minted Model 3, the $35,000 consumer car that it expected to produce in great volumes. Demand for the product has been outstanding, with over 600,000 consumers lining up to give the company a deposit of $1,000. Chief executive Elon Musk promised by the end of the year to have the company churning out 5,000 Model 3s per week, but production delays derailed the company greatly. Tesla has now discovered that moving from production of the low-volume Model S to the high-volume Model 3 is substantially harder than expected. Far from humming along at 5,000 units per week, Tesla produced just 1,550 Model 3 vehicles in the entire fourth quarter, goading Musk into making predictions of a brisk 2018 comeback. The first quarter, however, has been anything but. Musk reduced his Model 3 production target to 2,500 per week, but in the first three months of the year the company is averaging just 750 units per week — off the new mark by 70 percent, and a mere smattering of the original 5,000 weekly unit prediction. All of this, of course, leads to the question of what’s next, and will the company make the turn. Financial pundits are beginning to seriously question whether it ever will. The recent quarterly posting brings the company’s lifetime losses to $5.7 billion, underscoring the often-overlooked fact that the company has never turned a profit. Add to it the fact that the losses have increased quarter-over-quarter for nearly the company’s entire twelve-year existence, and legitimate concern is more than justified. Presently, Tesla has $2.7 billion of cash on hand, but with quarterly losses nearing the $1 billion mark, the stockpile will evaporate like water on hot Arizona asphalt. 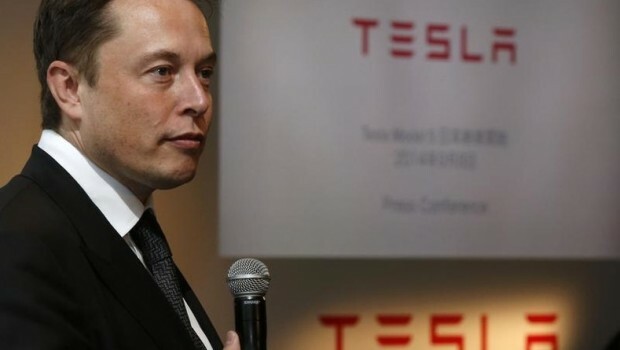 Musk has stated that Tesla will achieve full GAAP profitability in Q3 and Q4 of this year, but with so many broken promises the chief executive’s predictions are now being taken as salesman-life puffs. Students of history will recall when Musk famously pronounced that the company would hit profitability by 2016. One has to admire his optimism, but high hopes will never be sufficient to overcome industrialized realities. To put the problem into context, Bloomberg conducted an analysis that in 2017 — the year after Musk promised profitability — the company torched $480,000 every hour of the day during the 12-month period. In stark contrast to Musk’s promise of 2018 profitability, Moody’s predicts that the company will have to hit up investors for another $3 billion in cash to stay solvent. Tesla already owes $10 billion in long-term and convertible debt, with required interest payments of $230 million in November and $920 million in March 2019. Add to that lagging Model 3 production, and there is little reason to believe that the company can survive without massive, and perhaps multiple, cash infusions. For its part, Moody’s has downgraded the company’s debt into junk-bond territory. Others are equally concerned. In 2017, Tesla stock hit the dizzying price of $390 per share, yielding a market cap that actually exceeded that of goliaths GM and Ford, which in itself is miraculous. The company that has never turned a profit, and struggles to make 750 cars per week, was actually more valuable than a 100-year-old car manufacturer that produces 10 million cars per year. But with its recent public filings, market support is all but evaporating. Its stock has fallen some 25 percent to its current $300 value, and many believe that is just the beginning. Goldman Sachs predicts that Model 3 production will even out at 1,400 units per week, and is pinning its year-end stock price at $195. Goldman believes that cash calls will be made as soon as the third quarter of the year, and is encouraging its clients to place sell orders. The net of all this is that Tesla has achieved yet another descriptive tag: the most shorted stock in America. According to financial analysists S3 Partners, in April the dollar amount of shares shorted on Tesla increased 28 percent to $10.7 billion. With the smart money on the street betting against a Tesla comeback, one has to wonder if the bloom has finally been knocked off the rose. And with market confidence at an all-time low, will Musk be able to continue borrowing his way out of trouble? His dance to the horizon has been dotted with broken promises, and this very well may be where the needle gets taken off the record.